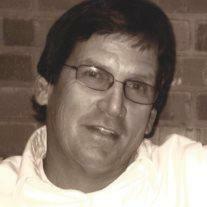 John F. Jayne, 58, of Mesa, passed away July 20, 2014 surrounded by his family after a courageous battle with cancer. He is preceded in death by his parents Clarence and Peggy Jayne and father-in-law Robert Taylor. He is survived by his loving wife of 39 years, Vicki (Taylor) Jayne; daughters Jessica (Spencer) Inglish, Vanessa (Joey) Gornik, and Tiffany (Rocky) Brown; brothers Clancy and Tim Jayne; and mother-in-law Lillian Taylor. He is Papa to 10 grandchildren that adore him: Maggie, Jaycie, Gunner, Reese, Grady, Brighton, Brigham, Abby, Macy, and Lainey. John graduated from Mesa High School in 1974. He worked for the City of Mesa for 40 years, spending the last 34 years on the Mesa Fire Department. He loved his job and serving the citizens of Mesa. John’s life revolved around his family. He loved nothing more than spending time with his kids and grandkids. John was an active member of the Church of Jesus Christ of Latter-day Saints. He will be remembered for his incredible work ethic, sincere compassion for people, and selfless service he rendered to so many. A viewing will be held Wednesday, July 23, 2014 from 6-8pm at Bunker’s Garden Chapel, 33 N Centennial Way, Mesa. Funeral services will be held Thursday, July 24, 2014 at 10am, preceded by a visitation at 9am at the Emerald Acres Ward building, 1415 E. Southern, Mesa.